This layer adds extensive support for go to Spacemacs. If you wish to use a linters aggregator tool, you can enable gometalinter or golangci-lint. Make sure that the gocode executable is in your PATH. For information about setting up $PATH, check out the corresponding section in the FAQ (SPC h f $PATH RET). You also need to install the Go Language Server. Consult the installation command for the desired language server found at lsp-mode for instructions. Note: you can easily add a directory local variable with SPC f v d.
To run gofmt before save, set the value to a non-nil, e.g. To use a different formatter, set the value of gofmt-command, e.g. If you’re using .editorconfig in your project, set the value to nil to avoid confliction, e.g. If you’re using gocheck in your project you can use the go-use-gocheck-for-testing variable to enable suite testing and to get single function testing to work. Tests are run in a compilation buffer displayed in a popup window that can be closed by pressing C-g from any other window. The variable go-test-buffer-name can be customized to set the output buffer name. 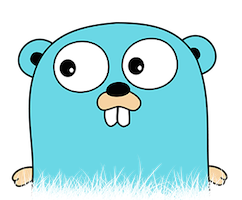 To provide additional arguments to go test, specify go-use-test-args. (go :variables go-use-test-args "-race -timeout 10s"
Go Oracle has been deprecated as of October 1, 2016, it’s replacement is go-guru. If you would like to use the goguru bindings in your work, you will need to install it, and in your project you will need to set the scope with SPC m f o. The scope is a comma separated set of packages, and go=’s recursive operator is supported. In addition, you can prefix with =- to exclude a package from searching. In addition, GOPATH must be set prior to go-guru initialization. For auto-completion there are actually two choices. First there is the classic gocode. This has been around for quite a long time now, however gocode has many shortcomings like not being able to show documentation for build-in objects or being fully dependent on installed binary files to provide its suggestions. A more modern and complete solution is provided by gogetdoc which is able to precisely detect all documentations in your go projects independent on where they have been added. This is also the choice recommended from go-mode.el. Run go install ./... in your package directory when you make a file change. Run gocode set autobuild true to have gocode attempt to run go install ./... for you. You can configure your task runner to run go install ./... command on every file change.